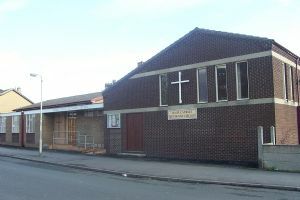 We are a lively, community focused Church located in one of the six towns which makes up the City of Stoke-on-Trent, perhaps more commonly known as the Potteries. The premises are currently undergoing a major refurbishment which includes fitting a new kitchen, refurbishing the Men's Washroom to include a Shower Room and installing toilets and cubicles, refurbishing the Ladies Washroom to include new toilets and cubicles, decorating the very busy main hall and including fitting UPVC windows and fire doors, decorating the church hall reception area, and similarly to the church reception area. The Fenton Foodbank Distribution Centre takes place at Temple Street every Thursday morning from 10.30 a.m. to 12.30 p.m.